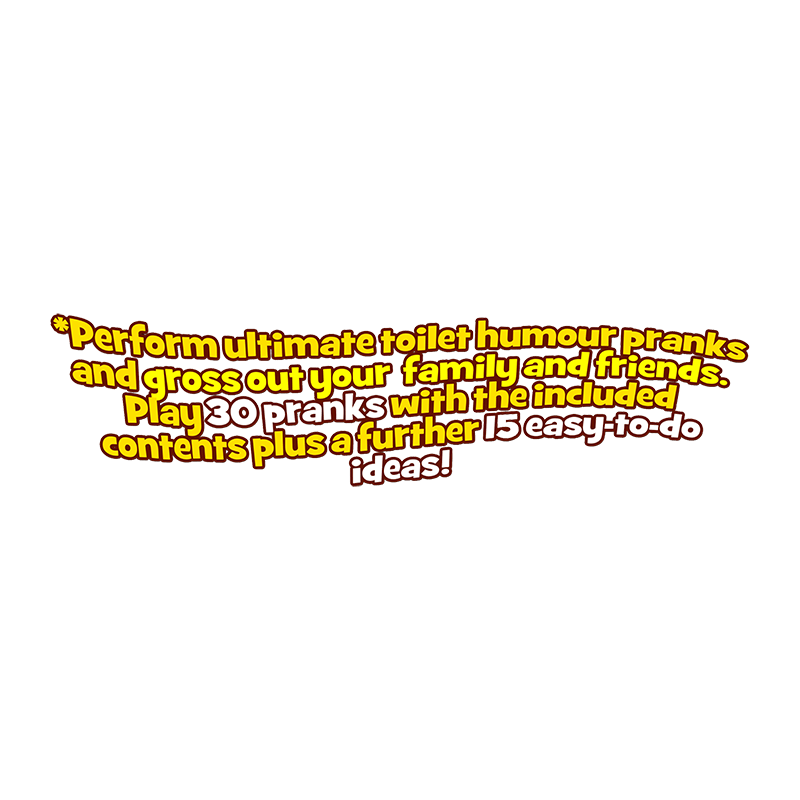 Toilet humour has never been so much fun! 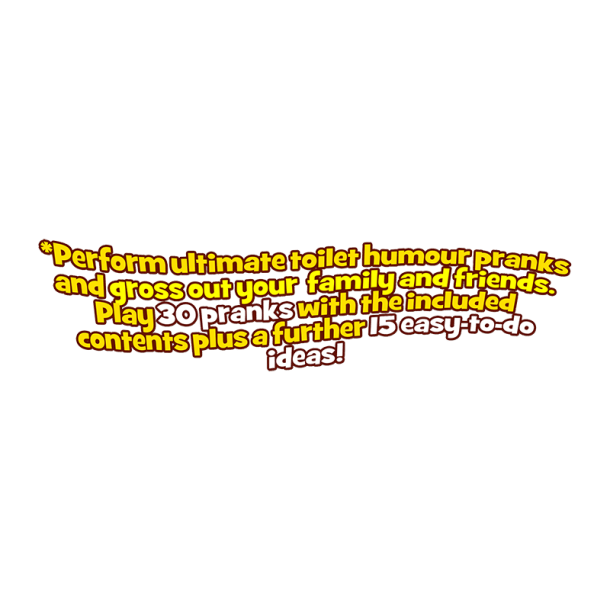 Play 30 pranks with the included contents, plus a further 15 easy to do ideas. 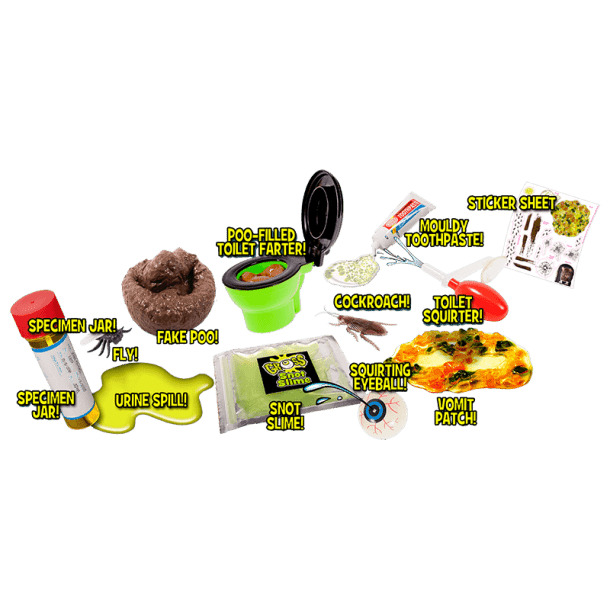 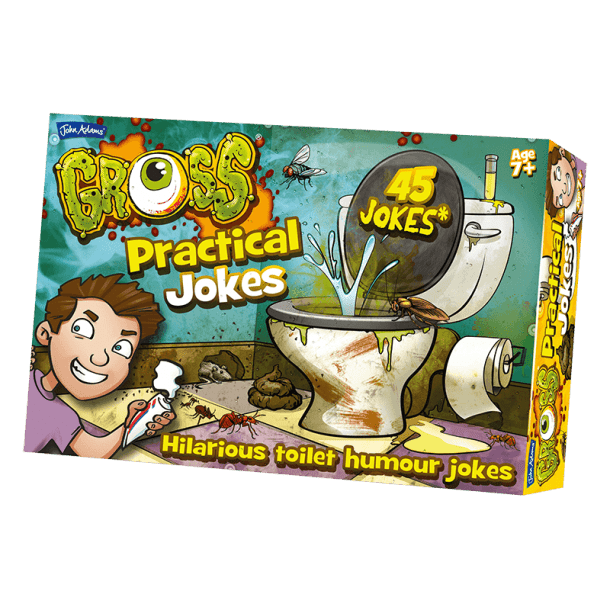 Includes loads of toilet themed pranks including fake poo, urine spill, toilet squirter, slime filled toilet farter, fake snot.. and lots more!